Compucolor is New York's best direct mail company. We help you find the customers who matter most to your business. Pay the lowest postage rate allowed by law for your direct mail project with Compucolor. Ask us about Saturation Mailing, Political mailing, Presort direct mail, Every Door Direct mail, use your mailing list, or having us reserach a demographic list for you. Direct Mail from the U.S. 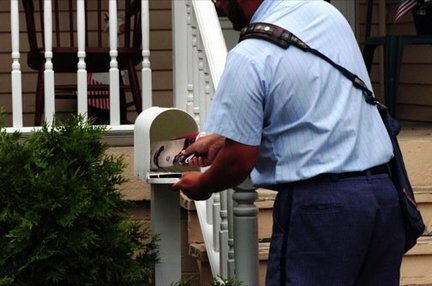 Postal Service®, is designed to help you reach every home, every address, every time. Our in house mailing preparation facility is complete with dedicated staff and high speed mailing equipment. Speed up the process by going with Compucolor your one stop print and mailing partner. We manage your list, NCOA certify your mail, pre-sort, ink jet addresses, and deliver your mail to the Post Office buiness mail entry unit. Don't have an indicia to use? If you are worried about red tape and USPS paperwork, Compucolor has you covered we can answer your questions and use our indicia on your printed material. When is your target mail date? How many would you like to mail? Please check all services you need.